When you are over thirty with growing family and members to take care of, from little kids to aging parents, so little time left for a daily beauty regimen. Only remind myself that you are not young anymore and your skin needs more care and love than before. I am very thankful for high quality serums coming to the market and for very affordable prices to make aging skin look young and beautiful. The fantastic one with fabulous results, I received from Day by Day Beauty. The serum's winning formula is working combination of Vitamin C, Vitamine E and Hyaluronic Acid. Day by Day Beauty's Exclusive Vitamin C Serum is made of natural and organic ingredient only. It is very effective in treating light acne scars and shrinking pores which is not that easy to get rid of. After using the serum I give it all the credits for reducing wrinkle lines, brightening sun caused blemishes (I had light brown ones) and overall, a smooth complexion. I also like that it absorbs fast and does not leave any greasy feeling, important for every day beauty routine. The pump dispenser is well designed to take the right amount of serum since it is not thick but not watery either. The serum needs to be used after washing your face and before moisturizing procedure, you can see how you beautiful skin shines and glow with youth even after a few days. 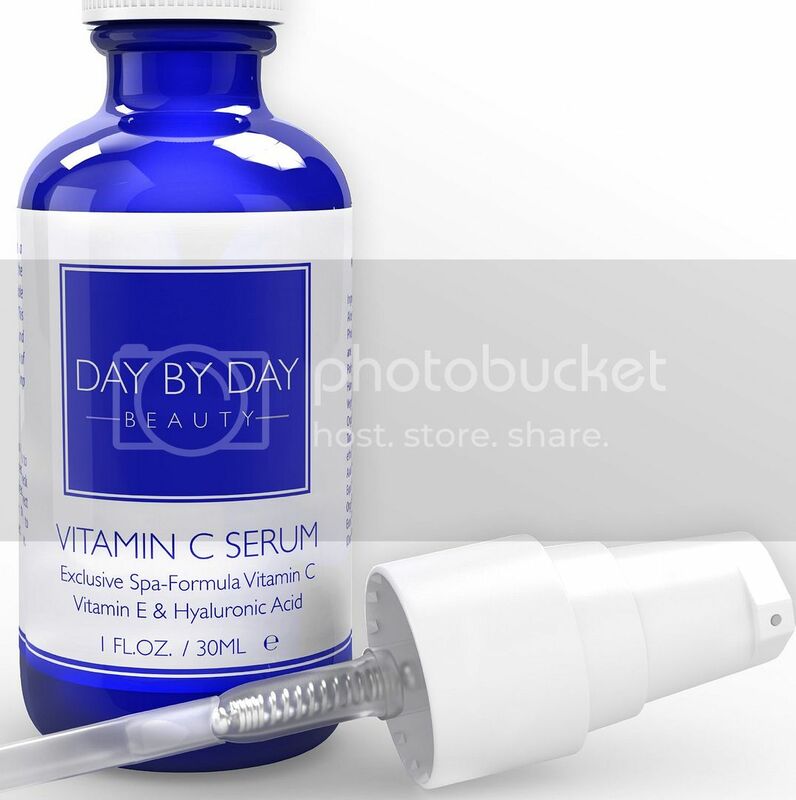 For more information, please check Day by Day Beauty web site, and you can easily find Day by Day Beauty’s Exclusive Vitamin C Serum on Amazon.com and Amazon.ca.